David Midanik is one of Canada’s leading criminal lawyers. 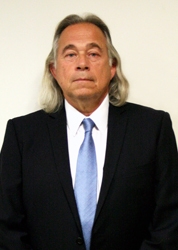 David has over 35 years of experience specializing in challenging cases involving complex legal issues. He has a reputation for being fearless and relentless in his pursuit of justice. David has fought for the rights and freedoms of hundreds of clients charged with a variety of criminal offences. David has also occasionally represented clients in various, complicated civil matters. David is an aggressive lawyer who is not afraid to step on toes to ensure that his clients receive fair and just treatment while protecting their rights and freedoms. If you wish to retain David, please contact him for an interview.